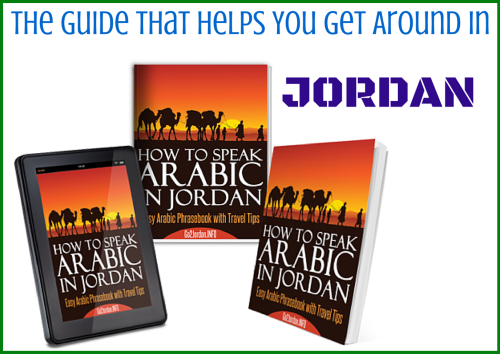 So you are planning a trip to Jordan and want to learn how to speak Jordanian Arabic... That's very nice and thoughtful of you! Jordanian people will really appreciate it. Arabic is one of the most difficult languages in the world. 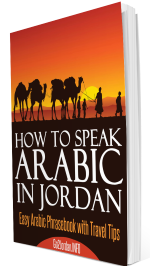 It takes months and years to master it, not to mention the fact that the courses available usually teach Standard Arabic or Egyptian Arabic - which is different from the everyday spoken Arabic in Jordan. As there is no one single method of transliteration of Arabic script into English, to keep things as simple as possible, this book uses the Roman alphabet only. Read the words as an English speaker would pronounce them. 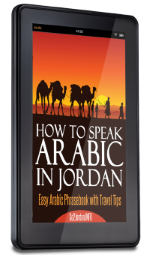 Get instant access to the eBook version of this special Jordanian Arabic dictionary and phrasebook from Amazon's Kindle platform. Don't Have a Kindle Reader? If you though you can't read a Kindle book without a Kindle device, you were wrong. The paperback version is a real book that you can put in your pocket and use it anytime, anywhere - even in remote areas like Wadi Rum with limited internet connection. I also included lots of white spaces for you to add your own notes, observations and experiences - so the book will become a truly personalized keepsake of your trip to Jordan. This is a physical product so please allow several days for delivery. Get instant access to the PDF version of the paperback book. You can read the PDF document on your computer, eBook reader device or smartphone and, if you want, you can also print it out and add your own notes. 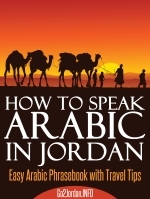 BUY this book NOW and enjoy your trip to Jordan!